The periodic inspection and testing of portable electrical equipment saves lives and prevents fires that may otherwise have caused injuries, loss of life and serious damage to business premises and workplaces. In this respect, the Electricity At Work Regulations 1989, along with the HSE Memorandum of Guidance and successive IET Codes of Practice, have provided sound advice based on the electrical safety needs of the business community. Although nowhere in the EAWR 1989 is there a specific requirement for the testing of electrical equipment, there is an onus on the dutyholder to ensure that equipment in the workplace is maintained to prevent danger. It is this requirement that has introduced the implied need for periodic inspection and testing; without such actions, the inference is that the dutyholder will be unable to establish the potential dangers exposed by faulty or unsafe equipment. In the event of electrical accidents, property damage or personal injury occurring, portable appliance testing (PAT) can demonstrate a responsible and diligent approach towards safety that may subsequently be required by the HSE, employers, insurance companies and other interested parties. Clearly, combined inspection and testing should be appropriate to the particular risk posed by the equipment and its environment. For example, smaller workplaces with only a few electrical appliances, and a staff of limited technical ability, might be regarded as relatively low risk environments. Here a responsible attitude might be regarded as a regular process of formal user checks and visual inspection, combined with some limited periodic testing. A different view will need to be taken by a large organisation, with different departments having many different types of equipment used by staff. In this case, ensuring the appliance safety may not only be a matter of ensuring the correct test equipment is available, but also having the ability to show that the right tests have been performed at the right time in the correct sequence - with records of test levels and results. Over the years, electrical safety test instrumentation has evolved to make testing faster, more efficient and cost effective for those with a workplace responsibility for ensuring the safe use of electrical equipment. 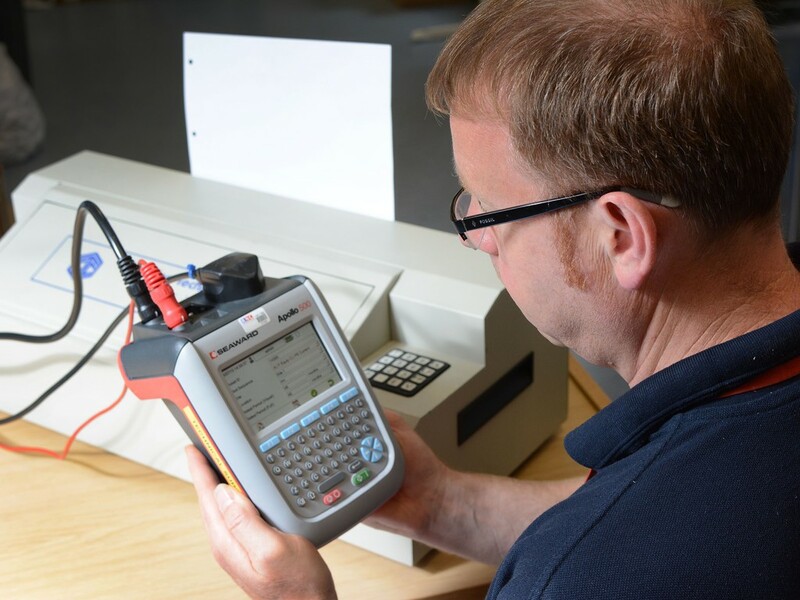 The initial demand for appliance testers was met largely by the availability of two distinct types of tester. At the basic level there were simple to operate pass/fail checkers capable of carrying out fundamental tests and providing an immediate ‘go/no go’ display. For more demanding applications, more sophisticated testers were available that incorporated a greater range of tests and had the ability to store and download test data into PC based record keeping systems. 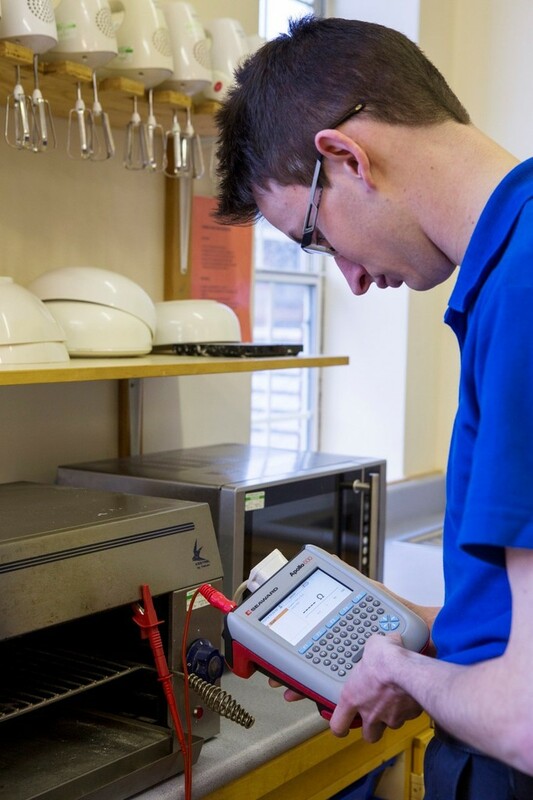 Over the years these broad distinctions between manual and automatic testers have closed, with all appliance testers now having greater functionality and versatility. Also, as successive IET Codes of Practice have highlighted the benefits of different tests, PAT manufacturers have responded by including, for example, the technology needed to test appliance leads and 3 phase equipment, test RCD trip times, provide different options for insulation test voltages and utilise specialist test currents for earth continuity testing. 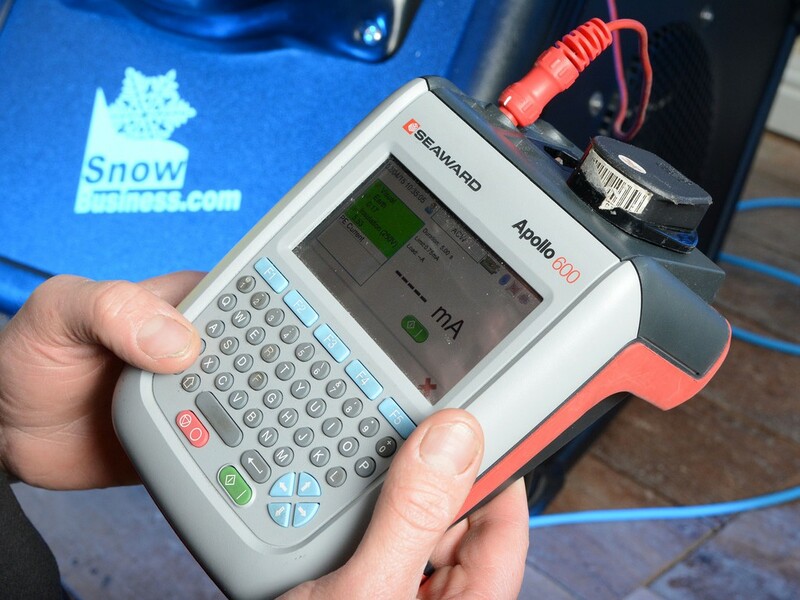 To make the testing process easier and more efficient a whole host of special features and accessories have also been introduced. The introduction of barcode labels for products with automatic recognition by the test instrument was an early development, and this was followed by the introduction of Bluetooth connectivity with test accessories such as label printers. Lightweight, battery powered testers have further improved portability factors and reduced the downtime between tests. Improvements in test management software have allowed records to be updated automatically, reports and certificates to be produced and advance test schedules to be generated. 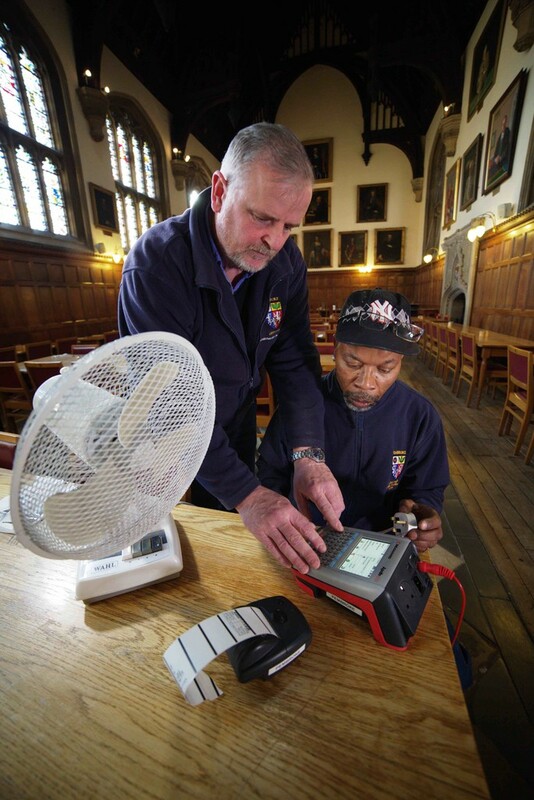 More recently, the latest generation multi-purpose PAT testers are also equipped with an onboard risk management tool to help determine re-test intervals. This feature is included alongside a built-in digital camera to enable high quality images to be tagged against appliance records for completely traceable electrical safety record keeping and maintenance. All this means that, with a common sense approach at the centre of technology improvements, adequate electrical safety measures can be effectively maintained in all workplaces without the imposition of an overly excessive test regime.